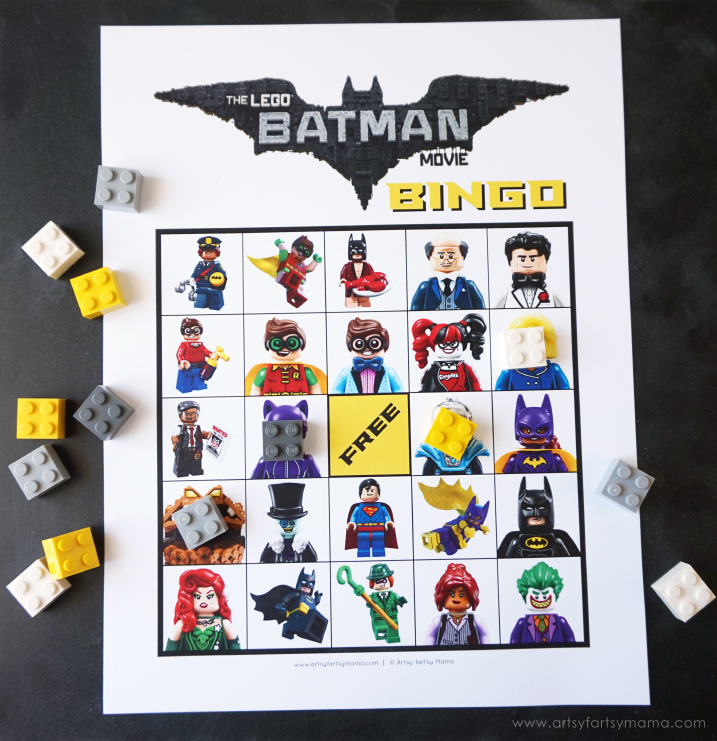 Sponsored by LEGO®, get ready for the LEGO Batman Movie DVD release by building LEGO Batman BrickHeadz and playing Free Printable LEGO Batman Movie Bingo! We saw the LEGO Batman Movie a few months ago and absolutely loved it! Everything about this movie is AWESOME!! We are counting down the days until we own it on DVD (June 13th!) 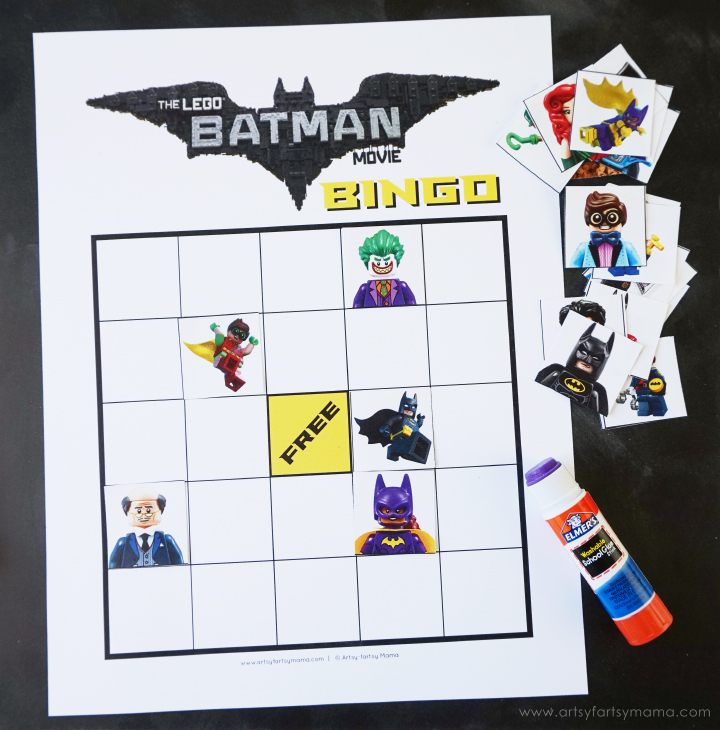 and are planning on playing this Free Printable LEGO Batman Movie Bingo while we watch it! LEGO Batman Movie Bingo includes all of your favorite characters, including Batman (of course), Batgirl, Joker, Robin, as well as a few new ones you might not recognize yet if you haven't seen the movie! The bingo set includes ten bingo cards, so it's easy to print and use for parties. It's fun for every age to play. The calling cards also include the names of the characters in case you don't know who they are. Besides Batman, our favorite characters from the movie are Joker and Batgirl. My husband loves all the characters and is always collecting action figures. BrickHeadz construction characters are a ton of fun to build, and bring you a brand new way to collect, build and display iconic characters from your favorite movies, TV series, games and comics. 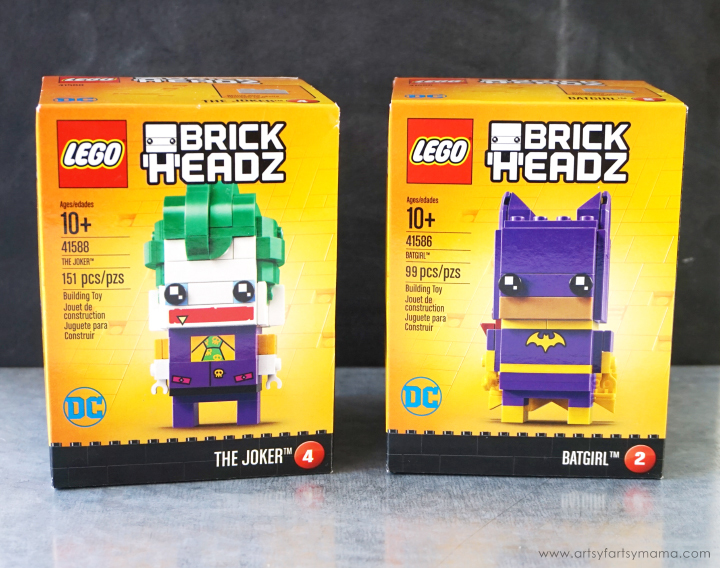 You can collect Batman™, Batgirl™, Robin™, and The Joker™ BrickHeadz construction characters from LEGO Batman Movie. My daughter is obsessed with Batgirl and loves how she's so tough and kicks the bad guys' butts! 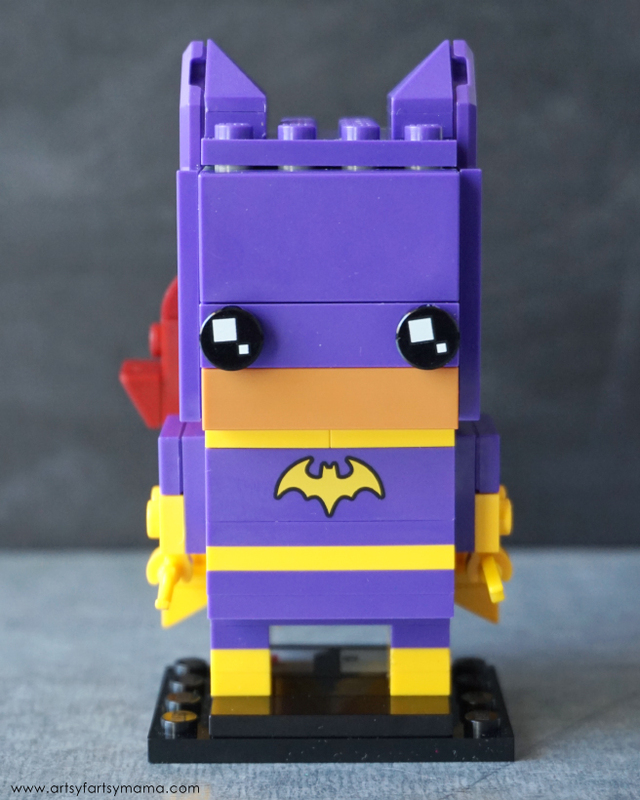 Recommended for ages 10+, this Batgirl™ BrickHeadz construction character contains 99 pieces and easy-to-follow building instructions. 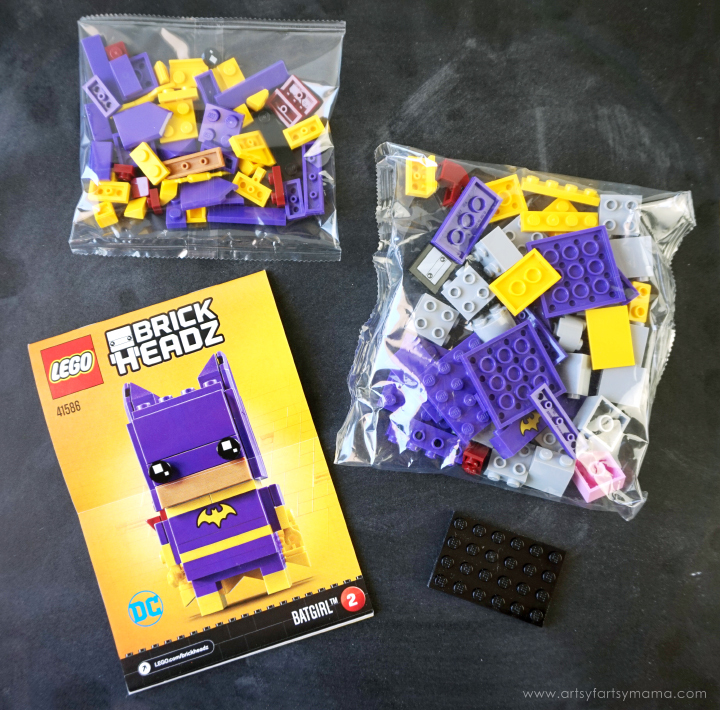 This Batgirl™ BrickHeadz construction character is fun to build using LEGO System bricks that recreate all of her iconic details, including her Batgirl icon and a yellow Batarang! She also stands on a buildable baseplate with a series number and BrickHeadz icon for easy display. Batman’s enigmatic archenemy, The Joker, is just hilarious and I can't resist a classic villain! Plus, let's admit it - he's adorable! 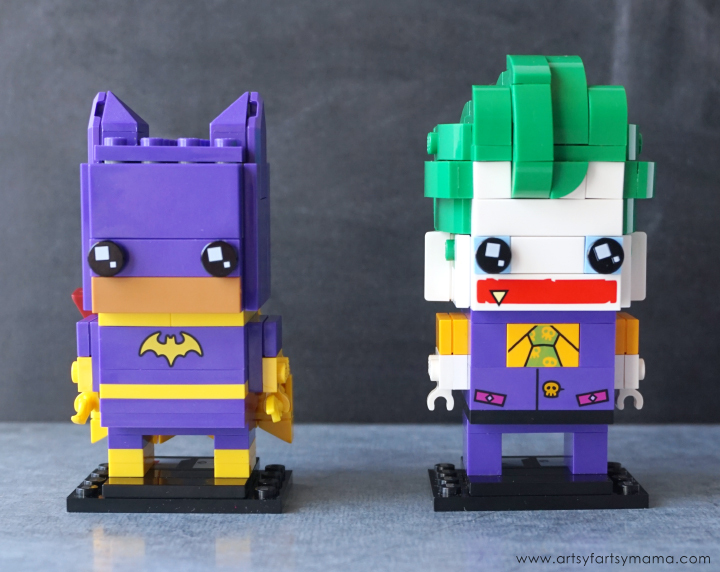 Also recommended for ages 10+, The Joker™ BrickHeadz construction character contains 151 pieces and easy-to-follow building instructions. 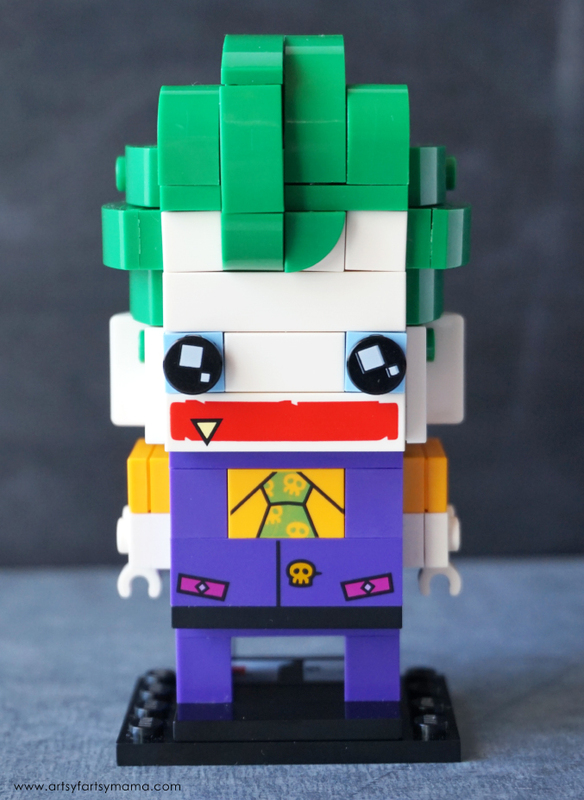 The Joker™ BrickHeadz construction character features authentic detailing, BrickHeadz eyes, buildable iconic green hair and outfit from LEGO Batman Movie, plus a display baseplate. These characters are so detailed and they are so much fun to build. 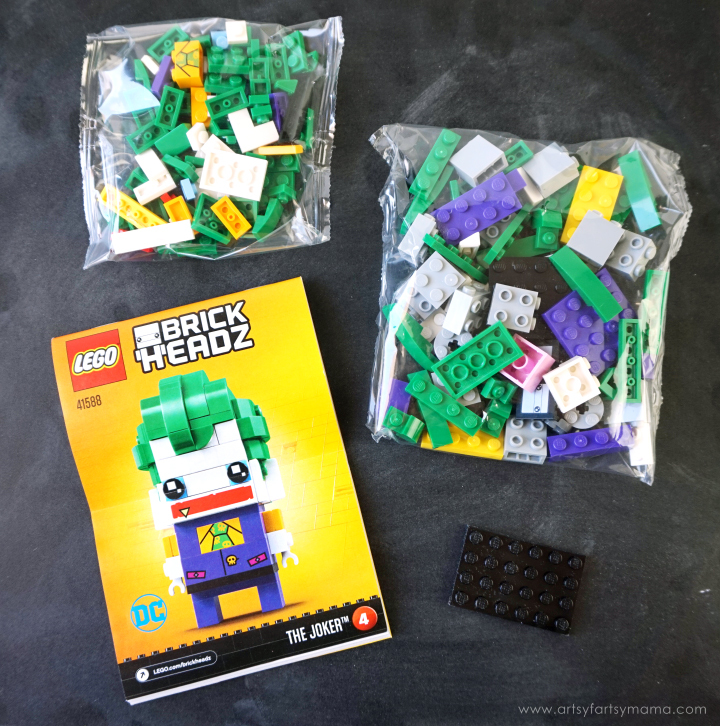 As fun as it is to build the characters according to instructions, it's sometimes even MORE fun to mash up your LEGO BrickHeadz construction characters to create supercool hybrids or your own amazing characters!! Who is your favorite LEGO Batman Movie character?